Gaiman does what he does best – tells stories (even if they are not his own!). 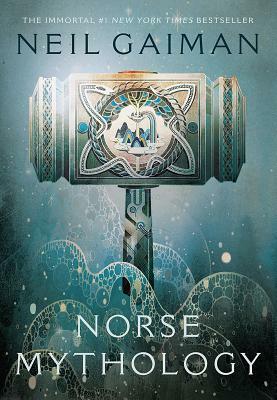 Here he successfully takes the Norse Fables and retells them in his entertaining voice and paints vivid portraits of the amoral gods. For history buffs, Gaiman-lovers, fantasy enthusiasts, and those looking for a good giggle, too. Gaiman does what he does best; he tells stories (even though they’re not his own!). He has successfully taken the Norse fables and retold them in his own unique, entertaining voice, and ha painted vivid portraits of these amoral gods. For history buffs, Gaiman-lovers, fantasy enthusiasts, and those looking for a giggle.